Join the Seminary Chorus on December 9 at 3 or 7 p.m. for their annual concert, “Christmas at the Seminary.” Over 50 voices will share the story of Jesus’ birth in songs, carols, and hymns. They will be accompanied by multiple instrumentalists. This concert will be held in the auditorium and a free-will offering will be gathered. Open seating is available on a first-come, first-seated basis. The 3 p.m. (central) service will be streamed live at http://livestream.com/WLSLive. 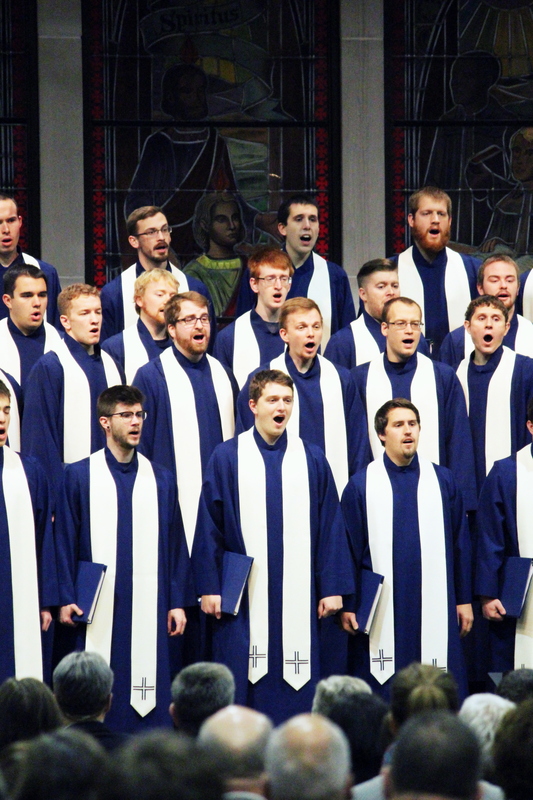 Founded in 1931, the Chorus has appeared in hundreds of WELS churches around the country to present the gospel in song. The men in this choir are training to go out with the same good news of the shepherds, telling people that a Savior has been born—and died and rose too. Join us to hear this good news presented in song. Seating is on a first-come, first-served basis.